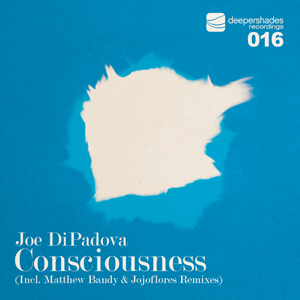 Over four years in the making, Consciousness blends Joe DiPadova's production talents with Shea Marshall's incredible musicianship. Matthew Bandy stepped in later to help build the drums, and eventually do his own set of remixes. To complete the package, Jojoflores sat down with Joe DiPadova at Gotsoul Studios in Montreal to create a stripped-down dub mix for the deepest heads. Moments. The fundamental building blocks of time in our lives. Nothing more than a concept. Each moment, in of itself, may be either monumental, even life-changing; or could instead be completely forgettable. We are the sum of our moments. We are the sum of accurately billions of moments. Every single one of us, as humans, as sisters and brothers, have experienced moments that alter us forever. These moments, so simple, yet so very special, are often impossible to describe with our limited language of the physical. These moments, collectively, define who we are, individually and communally. These moments are the foundation of our Consciousness. Consciousness is only a moment. "Loving the vibe. Top notch." "Great Ep. Lovin all mixes. Full Support!" "An inspiring peak to after hour hit. I'll be playing for years." "Therapy Dub does it for me." "Another very nice DSOH release. After a first listening I would say I go for the Main One mix." "Wicked new project and all mixes have a place in my collection!" "Therapy Dub will get rocked at Yoruba Dance Sessions. Dope groove." "Nice release on Lars' Label. Keep up the good work." "Main mix is my favourite...love it!" "Great bro. Joe is always soft and elegant." "Deeper it is! Specially with the two "Therapy Dubs" my fave versions both working similar motifs of deep analog + electronic sounds . Sitting somewhere between the deep techno german sound sound + the more dubby Ferrer project. Will be played @ ((())) Stereo"
"Will definitely support the Therapy Dub mix. Great work on the rhythm to give a subtle afro groove complimented by sweet harmonies." "Super sick, will be banging it proper!" "Great, love the piano dub." "New DSOH is quite tasty! Big ups Joe DiPadova for a beautiful release and Jojo Flores + Matthew Bandy for great remix treatments. Respect to Deeper Shades of House." "Big record! like em all. Full Support"
"Matt Bandy's mixes are great, very nicely crafted beats and percussion. I'd say his mixes are the pick for me." "Thanks 4 the promo, lovely deep late night track, Matthew Brandy's remixes are floating my boat the most! definetly in my wallet, thanks again." "Thanks for the promo. Always on point from one of my favorite labels. WILL SUPPORT FOR SURE!!!" "Dope all around EP the dub takes you to another place."